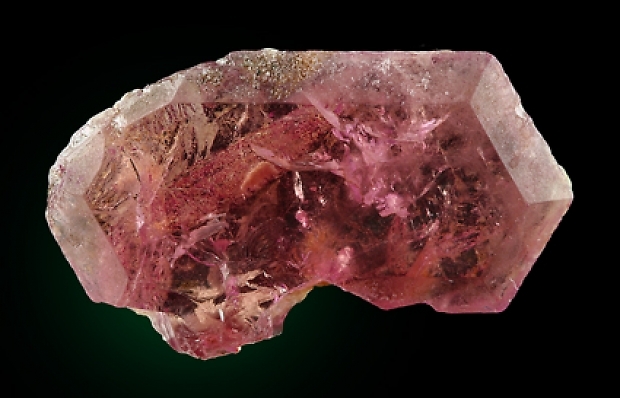 An excellent pink crystal, thin enough that it is transparent. The crystal is 18 x 11 x 3 mm in size and weighs 1.29 grams. There is just very slight chipping along one crystal edge, but I think that this is out-weighed by the overall transparency, color and sharpness of the crystal. Very fine for the species!